Walk through our doors and allow the world to dissolve away. Shed your street clothes and wrap yourself in a comfy spa robe and slippers. We provide lockers, shower facilities, towels, and hairdryers for your convenience. Settle into the Serenity Room to read a magazine or just sip some herbal tea and relax. Contemplate an upgrade to your service like Aromatherapy oils for your massage or a Stem Cell treatment to your facial. If you are celebrating a special occasion just make us aware and we will add a complimentary goody bag at check out or help you create a full spa party day. We recommend you arrive 15 minutes prior to your appointment time to check in, change into a robe and unwind in our Serenity room. Please be aware that a late arrival may require us to shorten the length of your service. A spa robe, slippers, towels and other amenities are provided for your convenience. Lockers are provided, however we do suggest that you leave your valuables at home. Please turn off your cell phone while in our facility. For your children’s safety and to maintain a tranquil environment, we regret that children under 12 cannot enter the service areas. 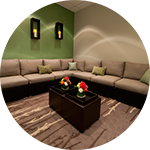 We accept Visa, Master Card, American Express, Discover and Serenity Day Spa gift cards as payment and you may include gratuity on your credit card. We do not accept checks. Please present your gift card as your form of payment at the start of your visit. Unfortunately we cannot honor lost, stolen or expired gift cards. Have a calendar and credit card ready when you call. We'll discuss times and services and put your card number on file to hold your appointment. 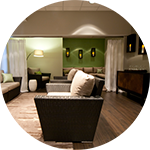 Cancelations must be received 48 hours in advance for all spa packages and 24 hours in advance for all other appointments. This allows time for us to call clients on our waiting list to fill your appointment time. We require a credit card or gift card number to secure your appointment. A cancelation fee will apply if you do not provide adequate notice.